I WENT TO IKEA LAST WEEK WITH MY BUDDIES AND FELL IN LOVE WITH ALL OF THE JUICY, TANGERINE SHADES OF ORANGE THAT WERE ON OFFER! From chairs, desks, rugs, and even straws, there were so many awesomely bold, bright offerings in my new favorite summer color (for this week! *wink*)! 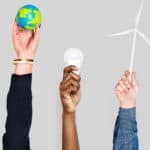 Here are the top 8 things I want from IKEA. 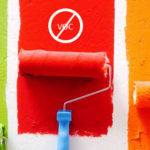 Color updates are easy when you change small things, so for those on a budget, accessories are the perfect way to get some color into your home. I really wanted the dinnerware set and clock, which would look great in my little kitchen/diner. Of course I bought those straws and a couple of orange candles; I was trying to limit myself because it’s sooo easy to go crazy in IKEA! (I really NEED everything!) I also got some sweet little white plant pots that look like they have lace around the top, notebooks, a magnet board for above my desk, and new cutting boards. Exciting, I know! I had a great time though and loved trying out the sofas in the staged rooms, imagining what it could be like to live in a room like that. I bet you all do that too! When I got home, I just had to see how else I could use this enveloping color in my home. 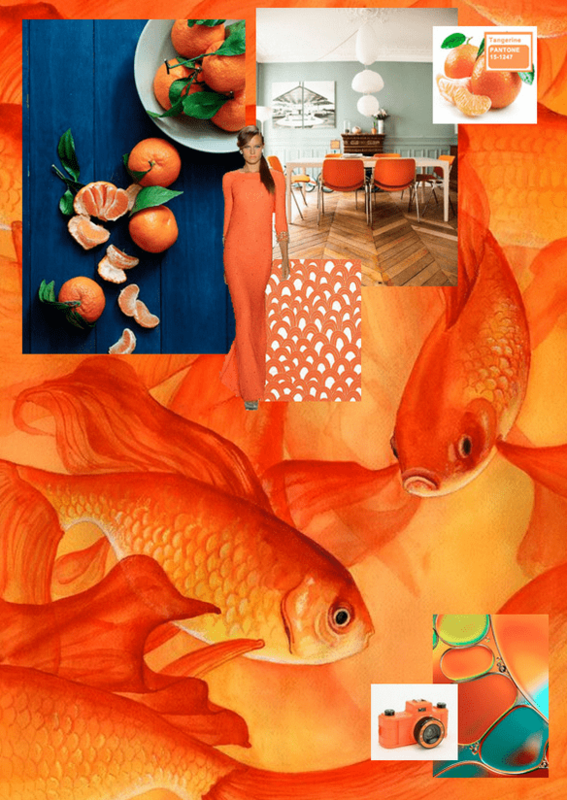 Here is the Pantone Tangerine mood board by Charles Parsons with colorful swatches of pattern and fabrics. This awesome Tangerine shade could give your home a major boost with a striking injection of color. It feels like happiness, right? Paired with grays, white, or brown, this pop of color can bring energy to your furniture or soft furnishings. This board really gets me fired up to go discover some gorgeous finds myself. Aren’t they stunning? I love the strong bold color in the fish illustration, mixed up with fashion and interiors and the image with the dark blue offers great contrast. Also, how cool is that orange camera? Need it! 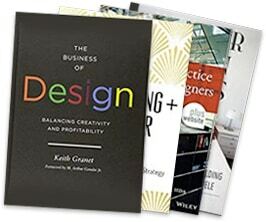 I am really inspired by an interior design firm that has added tangerine effortlessly into their work. 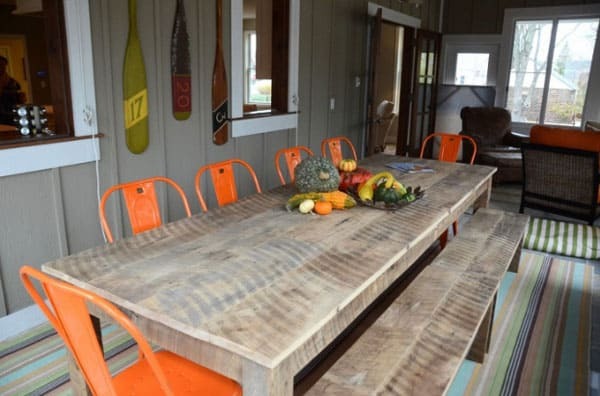 South Haven interior design firm Bayberry Cottage have integrated this Tangerine shade of orange into many of the homes they have designed. Take a look through my fave images where they have used this color to rock these rooms! The bright orange chairs fit so well with the neutral colored furniture and walls in this dining room. What an amazing color match with the chairs really standing out as modern pieces, mixed with the rustic wooden dining table and bench! I would love to have this dining room set in my home and can imagine this would be a great space for eating and working, though hopefully not at the same time! 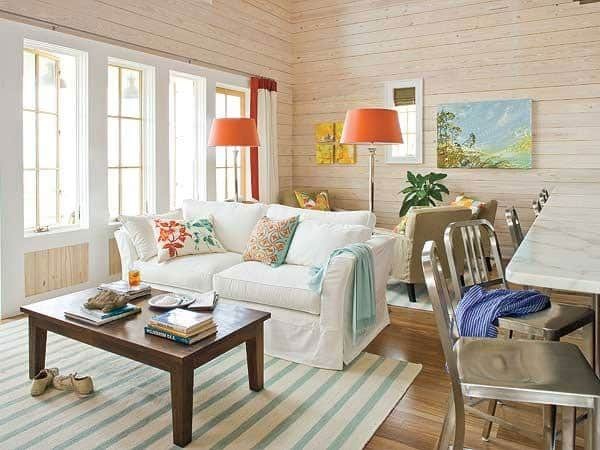 In this stunning, bright living room, the patterned pillows coordinate well with the tangerine lampshades. The curtain trim also has a strip of darker orange that brings together this color without effort. I really would LOVE a bright modern living room like this! 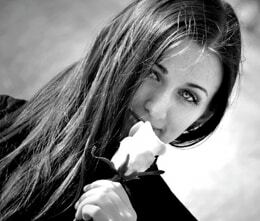 Wowee!! 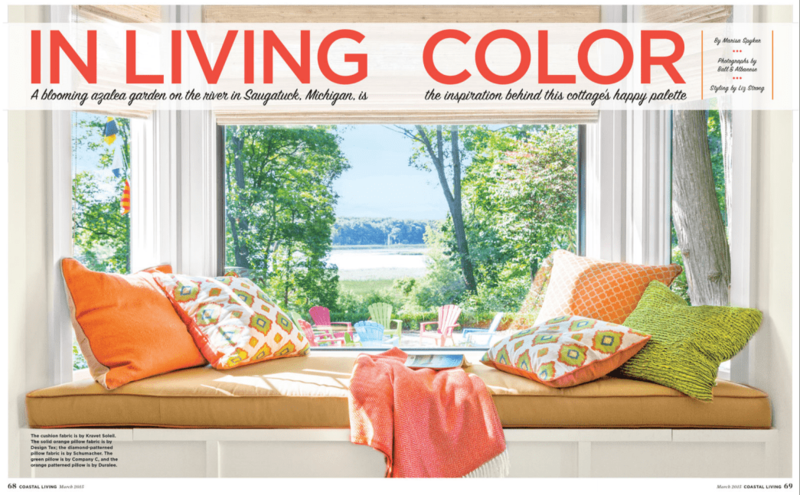 Bayberry Cottage were featured in Coastal Living Magazine with their gorgeous Azalea Cottage, one of the images shows a jaw-dropping window seat, with a sensational view and… you guessed it, tangerine pillows!!! Yes, indeed, a beautiful way to put some tangerine color into your home! (look at those dreamy colorful lawn chairs outside...). 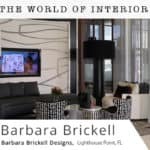 I hope this post has inspired you to add a few bright accessories into your home! 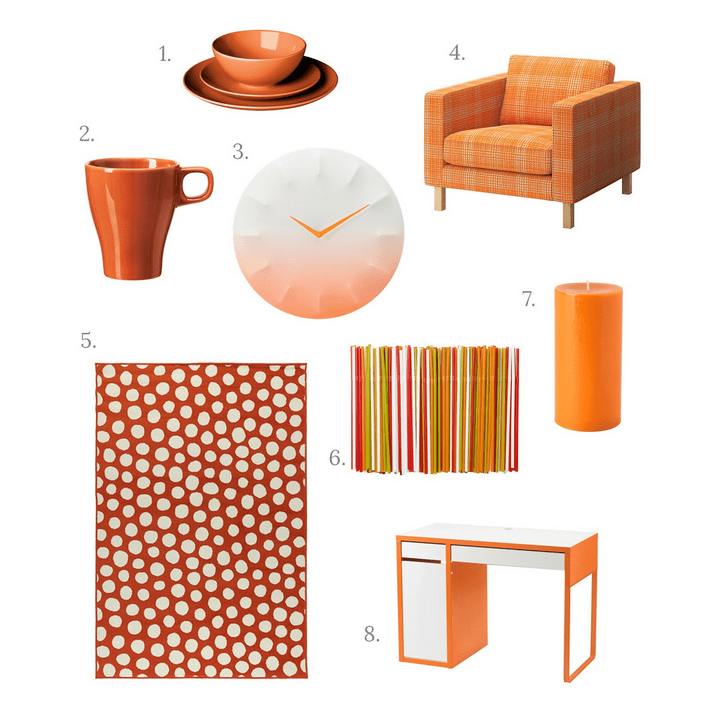 What do you think about adding tangerine into your home? Would you be so bold? I would love to know!